Measure your finger at the end of the day. Fingers are smaller in the morning and during cold weather. Your ring should fit snugly on the base of your finger, but not loose enough to slide over your knuckle. If you are between sizes, order the bigger size. Avoid using string to measure your finger as it can stretch or twist, providing an inaccurate measurement. Choose a ring that properly fits the intended finger. 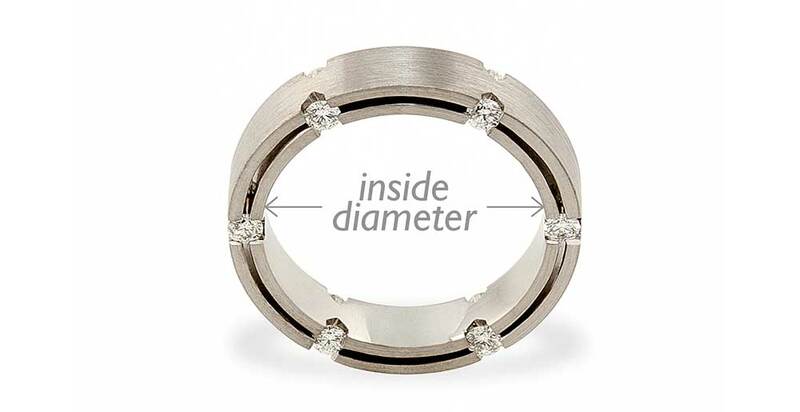 Measure the inside diameter of the ring as shown. 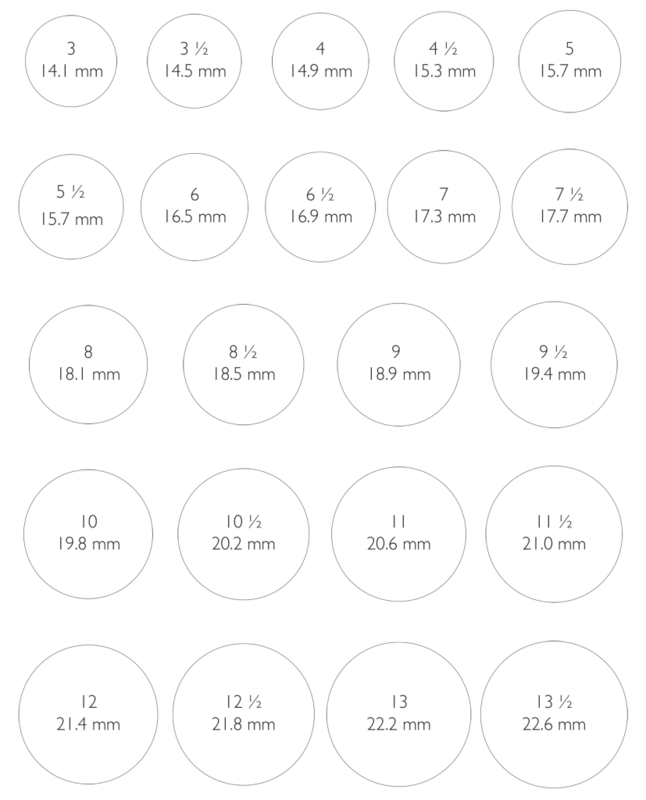 Check this measurement against the US ring sizes below. If the measurement falls between sizes, go for the larger size.